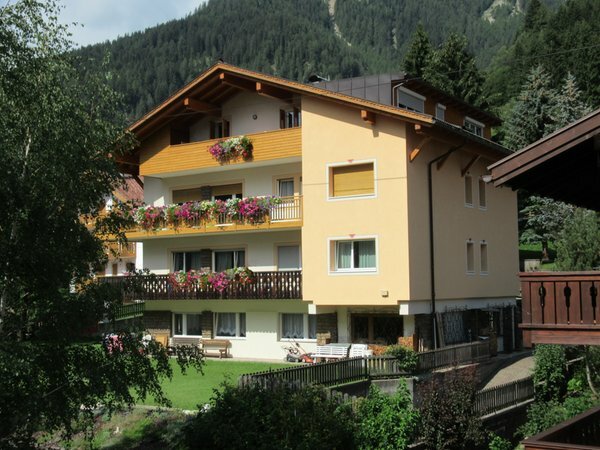 The Apartments Donei Pederiva Alessandra are located in the stunning Fassa Valley. 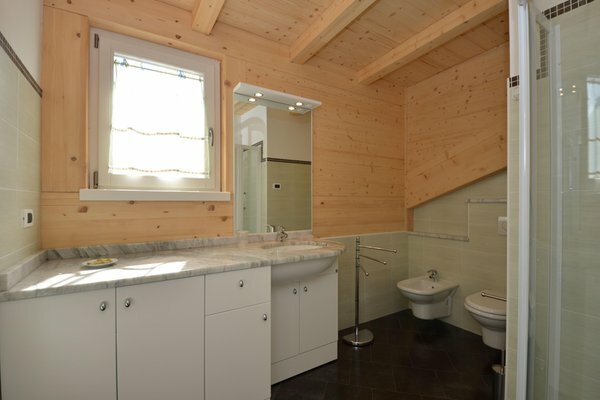 The house is situated in the residential area in a quiet, sunny and panoramic position, offering an ideal starting point for excursions and trips in the surrounding area. It takes only a five minutes' walk to reach the center of Moena. 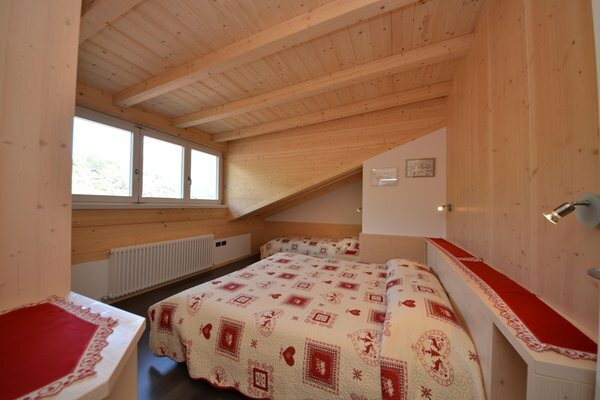 The offer includes two comfortable apartments, one with two rooms and one with three rooms. Both of them are fully furnished and equipped with everything you may need during your stay. You can also relax in the lawn, leave your car in the garage or use the ski and bike depot. 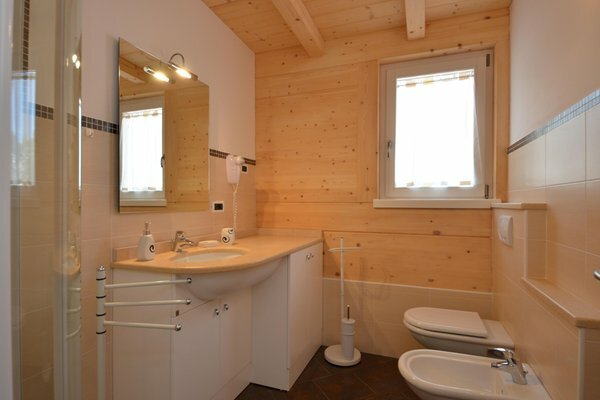 Apartment "mansarda grande", four beds, 2 bedrooms, 2 bathrooms, living room-kitchen and balcony. Including bed sheets/ bath towels , bills, Wi-Fi, parking in the garage max h. 2 mt., final cleaning. 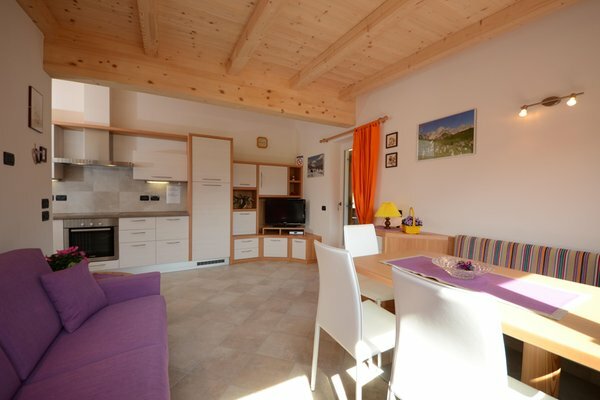 Mansarda grande Apartment "mansarda grande", four beds, 2 bedrooms, 2 bathrooms, living room-kitchen and balcony. Including bed sheets/ bath towels , bills, Wi-Fi, parking in the garage max h. 2 mt., final cleaning. Apartment for four people, including bills, bed linen / towels, Wi-Fi, a parking space in the garage max h. 2 mt., Final cleaning. Two twin bedrooms, two bathrooms, kitchen-living room and balcony. Room with three beds, living room-kitchen, bathroom and balcony. 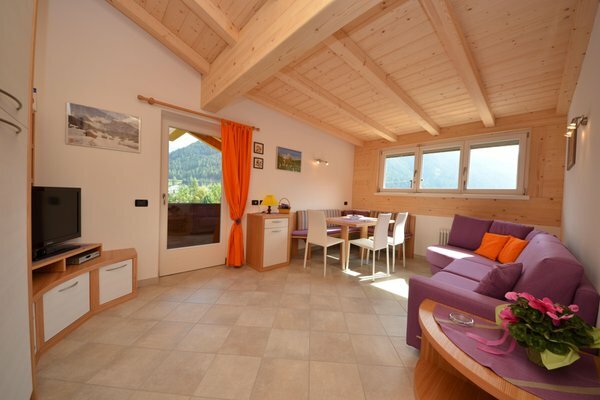 We - 2 families - enjoyed perfect holidays in Moena accomodated in these 2 apartments. The apartments are pleasant, look new, very clean and well equipped for cooking. In the bigger one there is also a nice view of Moena from the terrace. The landlords - family Pederiva - are very kind. My wife an I were three times in the apartments of family Pederiva. The last time we were here in March 2018. 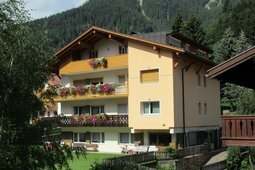 Very nice accommodation with all inclusive services and friendly owners. We can recommend it. Wir haben eine sehr schöne, ordentliche und saubere Ferienwohnung mit zwei Bädern bei der freundlichen Familie Pederiva gefunden. Wir erhielten sehr gute Informationen für Ausflüge zu Festen. Wichtig war für uns auch die Tiefgarage für unsere Motorräder und das Auto mit Anhänger. Die schöne Lage des Hauses, mit Blick auf den Ort und die kurzen Wege in den Ort. In der Tourismusinformation erhielten wir umfangreiches Material und Veranstaltungs-Tipps und Öffnungszeiten von Seilbahnen (Nachsaison). Die zentrale Lage von Moena im Fassatal ermöglichte uns in alle Richtungen zu fahren und die schönen Pässe von Südtirol zu erkunden. P.S. Für Freunde des "deutschen Brühkaffees" empfiehlt es sich, einen Kaffeetrichter und Filter mitzunehmen! Ansonsten ist alles vorhanden (Sogar zwei Espresso-Maschinen). Wir hatten eine sehr schöne Zeit, für 10 Tage, im Hause Pederiva. Danke: wir empfehlen dies Quartier gerne weiter! We stayed in the apartment for 2 people, which was very comfortable and spacious. The kitchen and the bathroom were roomy and fully equipped. The apartment is located in the upper part of the village, it has a magnificent view and it's just a short walk from center. The rests was great. The accommodation was very comfortable and the noise level was zero, since the area is very quiet. Without a doubt we would come back! The apartment's rate is 10. 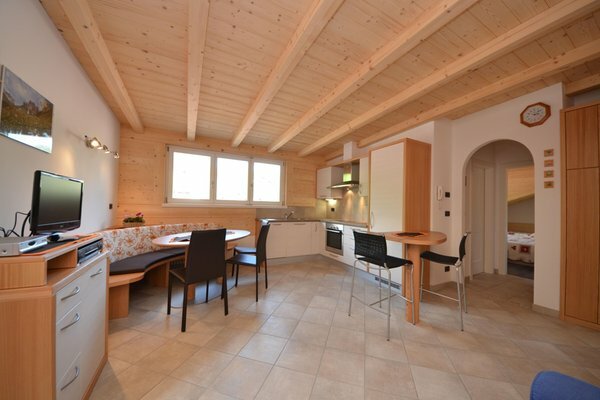 Centrally located with access to the best ski areas of the Dolomites. Great apartment: very light, spacious, clean and well kept. Information given on internet is accurate. The owners have made this a real home away from home to spend a comfortable and relaxed holiday. We’ve enjoyed it very much and hope to return in the future. We visited Moena for the second time and we choosed this apartment based only on the internet site. All agreed with the info from the site and owner. The apartment is very clean, spacious and renovated. We had the bigger apartment with two bedrooms. Kitchen is fully equipped with dishwasher, oven, microwave etc. 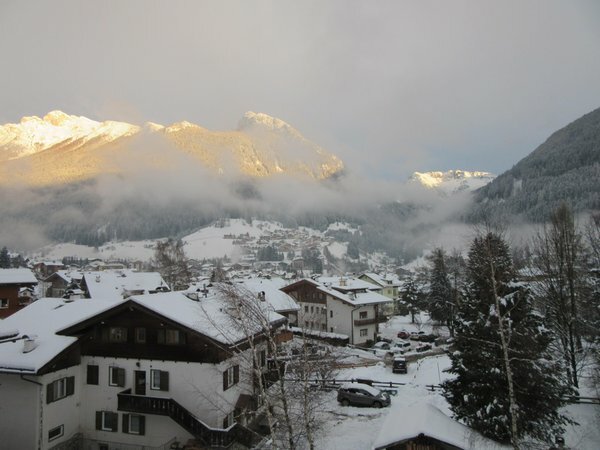 The house is located above Moena and so the view from the terrace is beautiful. It is close to the village centre, on foot less than 10 minutes. There is a garage with place for five cars so there is no problem with morning snow clearing. Owner was very nice and helpful. I would highly recommend him and his apartments for a nice vacation. 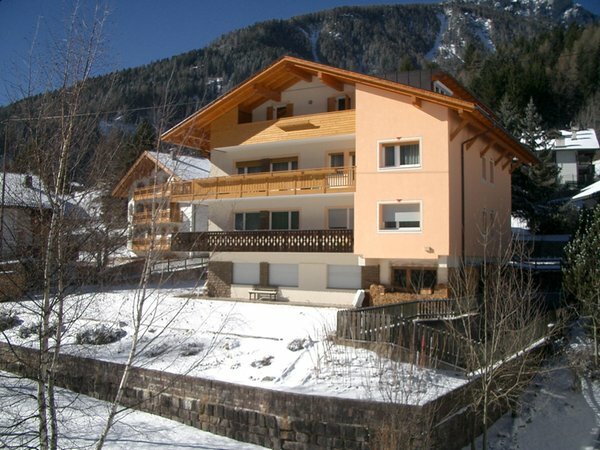 Great apartment with spacious, fully equipped kitchen and nice views to the mountains. The apartment was on the sunny side of the valley,t the end of the street, in a quiet residential area only a 10 minutes walk from downtown. The owners made sure all was well giving us also some information about the skiing areas. 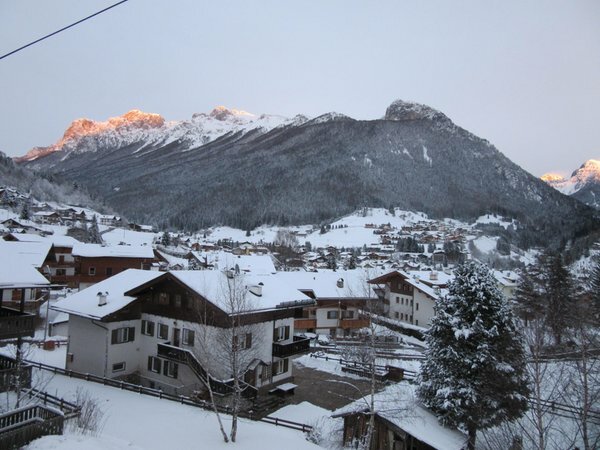 Moena is centrally located with access to many ski areas within a 15km radius to get a real flavor of the southern Dolomites. 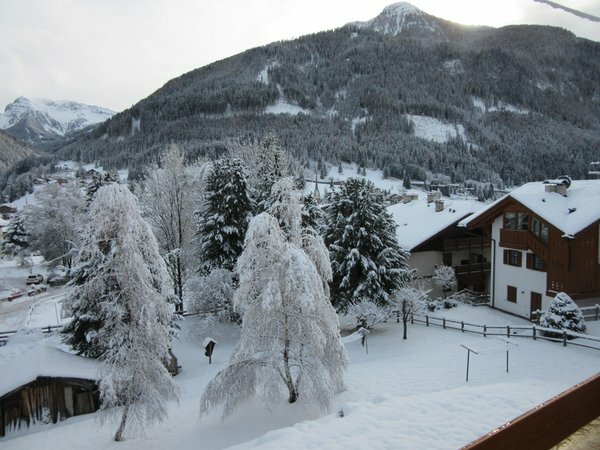 We will be coming back for more excellent skiing and knowing that we have a great place to stay in beautiful Moena. Information about the location: at 1200m amsl, 200m from the bus stop in winter, nearest slopes at 3km, closest cross-country trails at 10km. Are you interested in Apartments Donei Pederiva Alessandra?